How Does IV Conscious Sedation in Dentistry Work? For those who often deal with dental anxiety, seeing the dentist can be an extremely touchy subject. Whether it was possibly from a past traumatic experience or worrying over the dentist finding an issue with your oral health, it is important to remember that you are not alone. For those who have tried to cope with dental anxiety through relaxing and breathing techniques to no avail, IV conscious sedation may be the answer. What is IV conscious sedation? For this process, the patient is sedated but is not unconscious or asleep. Instead, the patient is placed in a safe and comfortable state of reduced anxiety. During this sedation, you will most likely have little to no conscious memory of the dental procedures. This memory loss is due to the amnesic effect of the medications involved. That said, you will be able to respond to verbal commands or light physical touch. 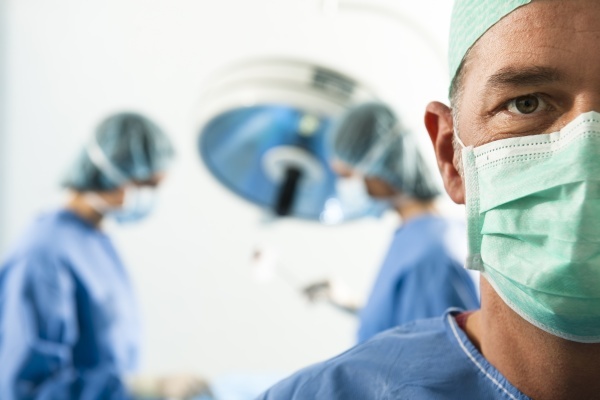 Conscious sedation is different than general anesthesia as you are not completely asleep. For general anesthesia, there may be additional support involved to help support maintain adequate breathing and other functions. During conscious sedation, no additional support is necessary. The sedation medication only keeps you relaxed and poses less risk. Dentists use IV conscious sedation to help patients tackle anxiety. This form of sedation is also extremely useful for helping those with extreme medical conditions that are heightened with increased stress or heart rate. The main medication involved is Midazolam as it acts quickly and wears off faster than other sedation drugs. For deeper levels of sedation, dentists use Propofol. Propofol is generally used in hospital settings where dental procedures are considered more high risk. Propofol is very fast acting and wears off quickly. As a result, there is careful monitoring and specialized equipment involved. Before IV sedation, it is a good idea to be accompanied to and from the appointment. This will not only calm your nerves, but you may need someone to drive you home if the sedatives are still in effect. Your dentist will tell you not to eat or drink before the procedure. During the operation, you will most likely be monitored by dentists and staff members to ensure that all is well. After the procedure, you may resume eating. Drinking plenty of water can help fight dehydration and flush out any lingering sedation effects. Although there is always a risk in getting any form of anesthesia, people with certain health issues may experience difficulty. For example, those with obesity or obstructive sleep apnea may have to seek different sedation options as they are more prone to complications. Are you considering IV conscious sedation? Do not let anxiety get the best of you. Talk to your dentist about your fears. They may recommend IV sedation for your upcoming treatment. If you do not have a dentist or if they do not provide this service, then call our office to see how we can help. Are you considering IV conscious sedation in the Stuart area? Get more information at https://drdelucia.com. Check out what others are saying about our dental services on Yelp: Sedation Dentist. © 2019 Anthony DeLucia D.D.S., P.A.. All Rights Reserved.